Finding out that the future of the United States Grand Prix is in jeopardy due to monetary concerns—well, it’s really a shame. I mean, when else do we get to welcome foreign driving legends like Sebastian Vettel to this land? Not often. While I was covering a Shell event at Driveway Austin before this year’s race for Autoweek I got the chance to take a ride along with Vettel in a Ferrari F12berlinetta. I did, indeed, take some Dramamine along with it. 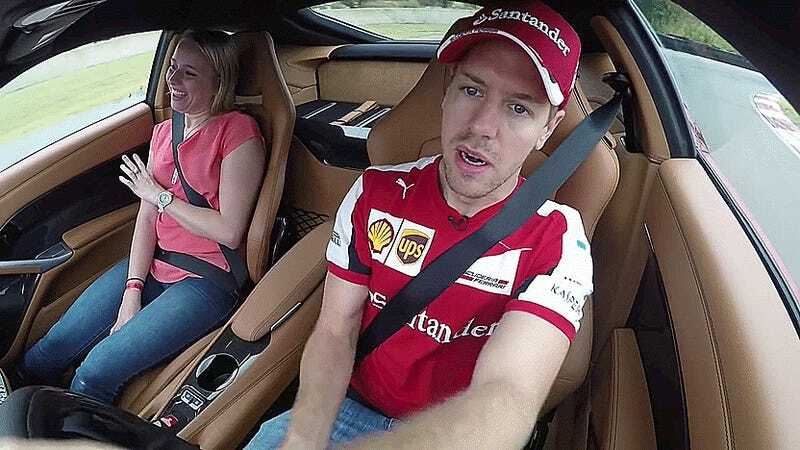 After experiencing Formula One for the first time this year (you can read a more detailed account over at Autoweek if you want)—and the personalities of drivers like Vettel, who is just plain fun—seeing yet another U.S. Grand Prix event fail would be a real downer. Even as a media member who’s been to races all across this country, I was blown away by the whole experience of an F1 weekend. It’s another universe—I’ve seen Circuit of the Americas during other events such as X Games, and the facility went from racetrack to red-carpet affair in preparation for F1’s arrival. And the fans here are loyal, despite staggering attendance at the event and shuffling among COTA’s top executive tiers. The U.S. Grand Prix was an absolute monsoon for most of the weekend this year, but the folks out at the racetrack weren’t deterred a bit—fans waited out the storm and waved their battle flags in the process. In a damper of a weekend, it was a cool sight to see. Head honcho Bernie Ecclestone told a few of us in a rain-delay roundtable meeting that he’d eventually like to have four races in the U.S. (very shortly after his “not enthusiastic” comments about the country), but this was prior to the news breaking about COTA’s financial troubles. But it looks as if we’ll have to solve the issues with the existing event before chasing those goals. Maybe one day we will have four F1 events in the U.S., or maybe we’ll have none. But, the latter—I bet we can all agree on wanting to avoid that one.